Enlarge / Administration of a measles, mumps rubella vaccine. Demand for measles vaccines leapt 500 percent last month in Clark County, Washington—a hotbed for anti-vaccine sentiment that has now become the epicenter of a ferocious measles outbreak. As of January 6, the county—which sits just north of the border from Portland, Oregon—has tallied 50 confirmed cases and 11 suspected cases of measles since January 1. The case count is rising swiftly, with figures more than doubling in just the last two weeks. On January 18, the county declared a public health emergency due to the outbreak. Health officials have long feared an outbreak in the area, given the rampant skepticism of vaccines driven by misinformation and fear-mongering by anti-vaccine advocates. Only 76.5 percent of kindergartners in Clark County had all the standard immunizations during the 2017-2018 school year. Overall, the county’s population is below the 92-percent to 94-percent range some experts consider necessary to curb the spread of disease. But, that might be about to change. 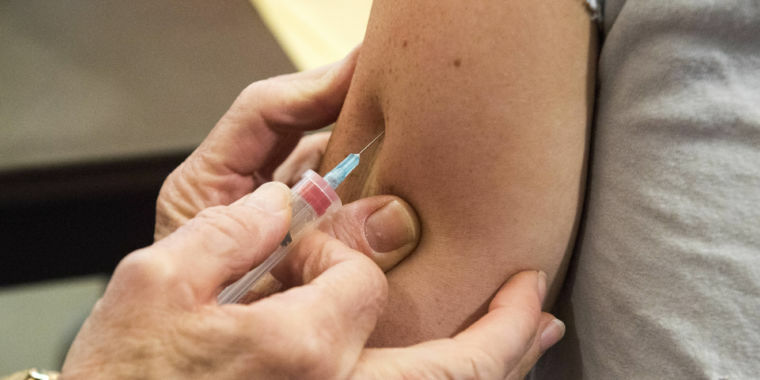 As the threat of measles has become all too real in Clark County, residents are lining up for vaccines, according to data first reported by Kaiser Health News. Orders of measles vaccines in the county reached 3,150 in January. That is nearly a 500 percent jump in orders from January last year, when the total was just 530. Statewide vaccine figures also reflect a boost. 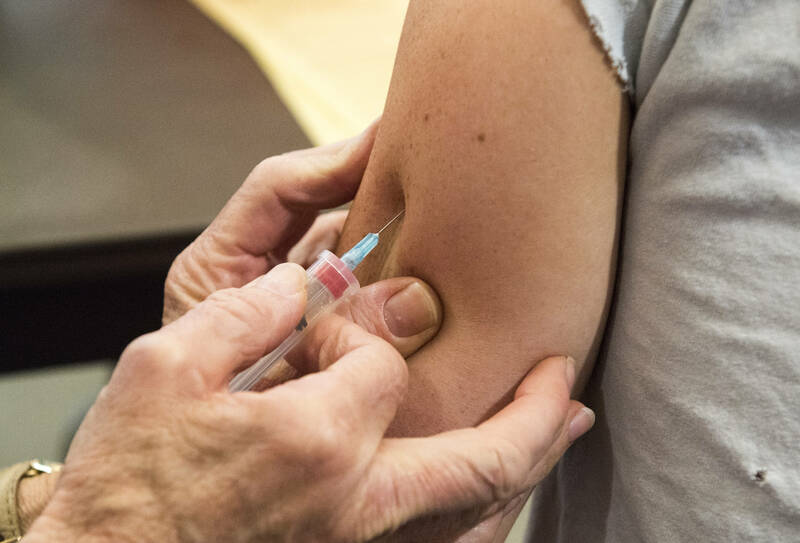 Orders for measles vaccine climbed 30 percent in Washington overall, from 12,140 doses in January last year to 15,780 doses in January of this year. Though health officials are glad to see the surge in life-saving immunizations, the motivation is less encouraging. “I would rather it not take an outbreak for this to happen,” Alan Melnick, the Clark County health officer overseeing the response, told KHN. Still, the response is unsurprising, according to Virginia Ramos, infection control nurse with Sea Mar Community Health Center, which runs six sites that offer vaccines in Clark County. “During an outbreak is when you see an influx of patients who would otherwise be vaccine-hesitant,” she said. The virus travels through the air and can stay up to two hours in the air of a room where a person with measles has been. If other people breathe the contaminated air or touch a contaminated surface, then touch their eyes, noses or mouths, they can become infected. Measles is so contagious that if one person has it, 90 percent of the people close to that person who are not immune will also become infected. Measles usually starts with high fever, cough, and runny nose, as well as red, watery eyes, according to the Centers for Disease Control and Prevention. It progresses to the telltale measles rash three to five days later, which breaks out all over the body and can be accompanied by fever spikes above 104 degrees Fahrenheit. Common complications include diarrhea and ear infections that can cause permanent hearing loss in children. Severe complications include pneumonia, which can be fatal, and encephalitis (swelling of the brain), which can lead to convulsions, hearing loss, and intellectual disabilities in children. Measles can also cause pregnant women to give birth prematurely or deliver a low-birth weight baby. The outbreak in Washington state is one of three ongoing in the US, with the other two in New York City and New York State. Cases have also been documented in California, Colorado, Connecticut, Georgia, Illinois, New Jersey, Oregon, and Texas since the start of the year.